Todd Richard’s originally from Vermont was a pro rider for Sims until we went to Morrow. Residing in Summit County for the early part of his career he became a slopestyle and pipe master. Also an amazing skateboarder Todd brought his vert skate style to the snow. Part of the baggy pants skate influenced generation Todd became one of the sports top pros. Todd was also selected to represent the USA in the first Olympic Half-Pipe event in Nagano, Japan. 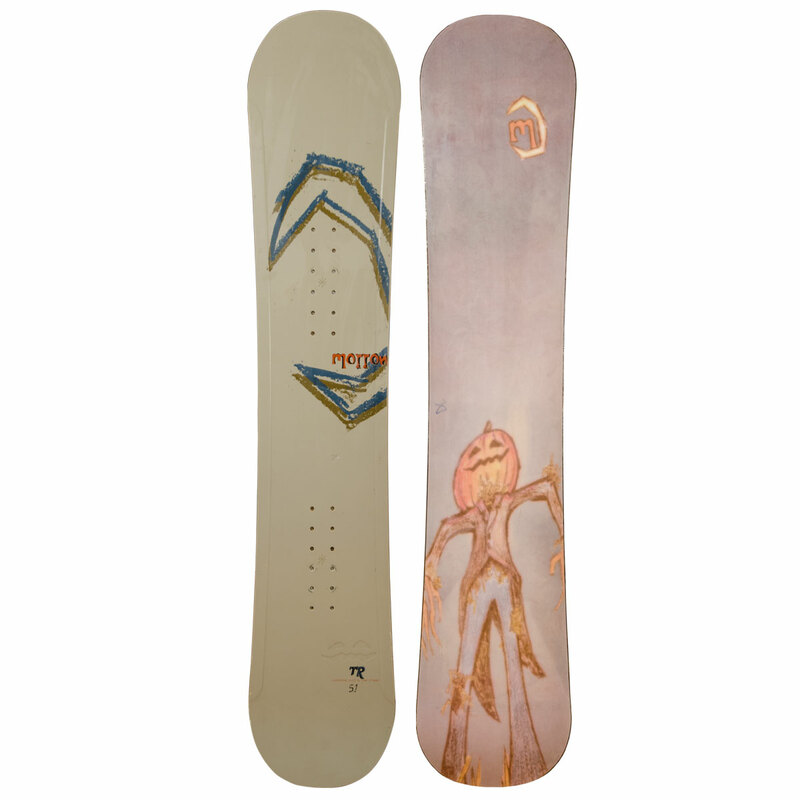 The Morrow TR Pro Model was based on the Revert model. It featured a all foam core, steep kick nose and tail, and a unique construction where there was a separate core that was wrapped in fiberglass along the length of the boards edges. This was supposed to provide more torsional stiffness. Boards were all made in Salem, Oregon. Lots of inserts for baseless bindings. Morrow had started to make its own bindings and their own hole pattern but by the time this board was produced the industry had switched to 4×4 hole patterns. Morrow like Ride was offering an aluminum baseplate on their bindings. Todd had multiple length pro models as the 151 built to server the Japan market. I don’t think he actually rode a 151 ever. Morrow was a couple of years later was sold to K2 sports that made it their big box, cheap brand. The factory was closed in Oregon and all boards were moved to China for production. Todd Richards is now a commentator for NBC sports, lives in Southern California and loves to surf, skate and snowboard. He is also still an ambassador for Quiksilver and showed up in 2017 at the Sims Retro Contest on his old Sims Half-pipe to show he still has it. Retro Snow is a place to preserve the history of snowboarding in the form of cataloging every board from every brand from every year possible. Our commitment is to save every vintage snowboard from becoming a bench or a wine rack.